Robert J. Donaldson IV is a Mt Pleasant SC real estate attorney. Robert was born and raised in Charleston, South Carolina. Upon graduation from Wofford College, Robert received a BA in History, with a minor in Government. After graduation Robert enrolled in the Charleston School of Law, where he was named to the Dean’s List. He also received the CALI Award for Academic Excellence in Federal Courts. Additionally, Robert served on the Federal Courts Law Review Journal. He spent a summer as an extern with the City of Charleston Legal Department. 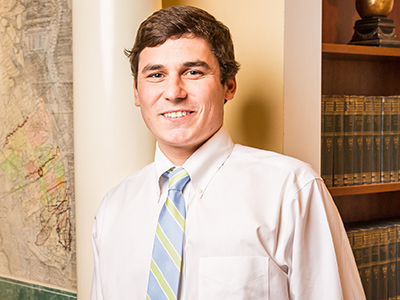 After passing the South Carolina Bar, Robert then joined his father as an associate attorney at the Donaldson Law Firm in 2014. He lives in Mount Pleasant and is a member of the South Carolina and Charleston County Bar Associations. Learn more about Robert here.